It was a classic Richie Daley moment. Reporters asked the mayor Thursday about the price tag for the Grant Park Obama rally Tuesday night and he appears to have gotten defensive, his voice raising an octive as he said, "I don't know why you're so negative about him." When asked about payment for the Election Night rally in Grant Park, Mayor Daley becomes defensive and challenges reporters to examine their "negativity." 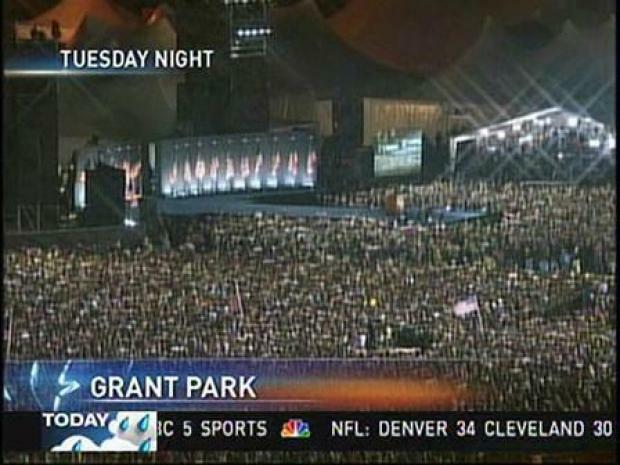 The event for President-Elect Barack Obama is said to have cost more than $2 million, most of it for extra security. Obama's campaign promised to pay for it and the mayor didn't seem to understand why reporters were concerned about it.